Read our helpful guide to second hand Rover Mini. AA Cars works closely with thousands of UK used car dealers to bring you one of the largest selections of Rover Mini cars on the market. You can also browse Rover dealers to find a second hand car close to you today. All used Rover Mini on the AA Cars website come with free 12 months breakdown cover. 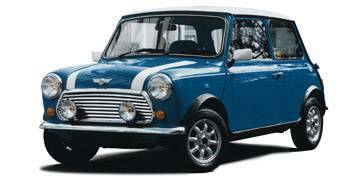 Although the Mini was first manufactured by the British Motor Company in 1959, it underwent several name changes over its lifetime due to changes in ownership, and so for a brief period - from 1980 until 2000 - it was named the Rover Mini. Much like the very first car, the Rover Mini is a retro styled, compact city car, which boasts sporty handling and drive, but better reliability and efficiency than the earliest generations. The 1.3 litre engine gives it a good amount of zip, although it is not as powerful as the modern Minis. As the last model of the classic, original car, the Rover Mini is a lasting, reliable and stylish bit of history.